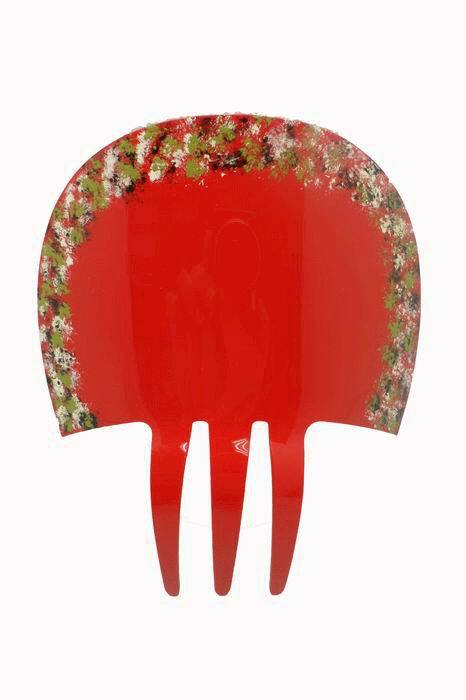 This red acetate comb with little hand-painted flowers is a masterpiece. This accesory is really important for the flamenca outfit. Moreover, this one is in acetate and hand-painted. It is a Spanish good quality product. Measurments: Large 14.5cm X 13cm width. (comb 6cm).